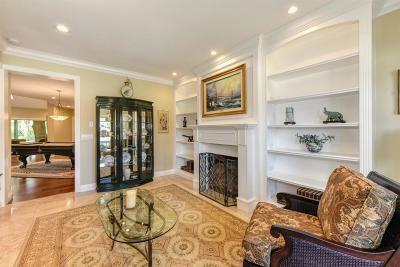 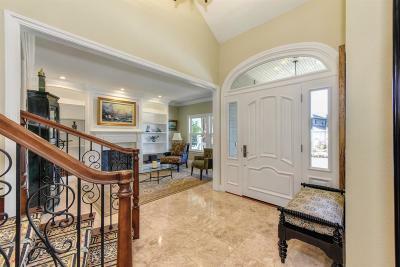 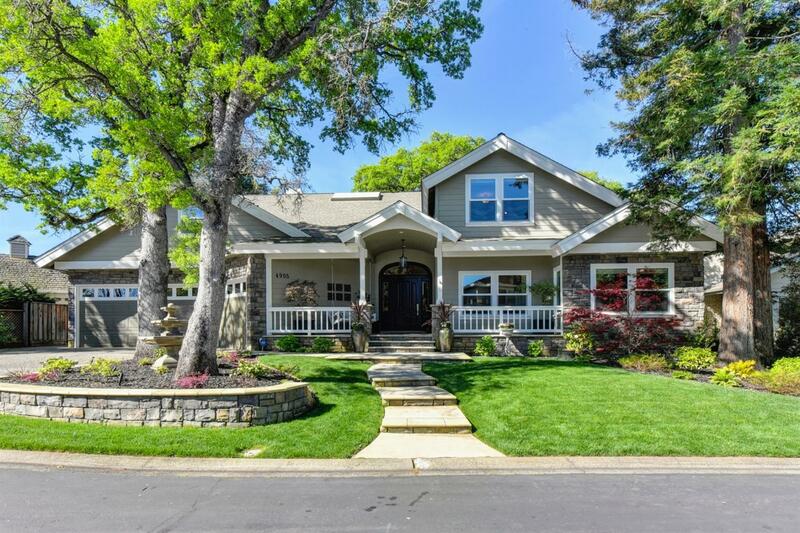 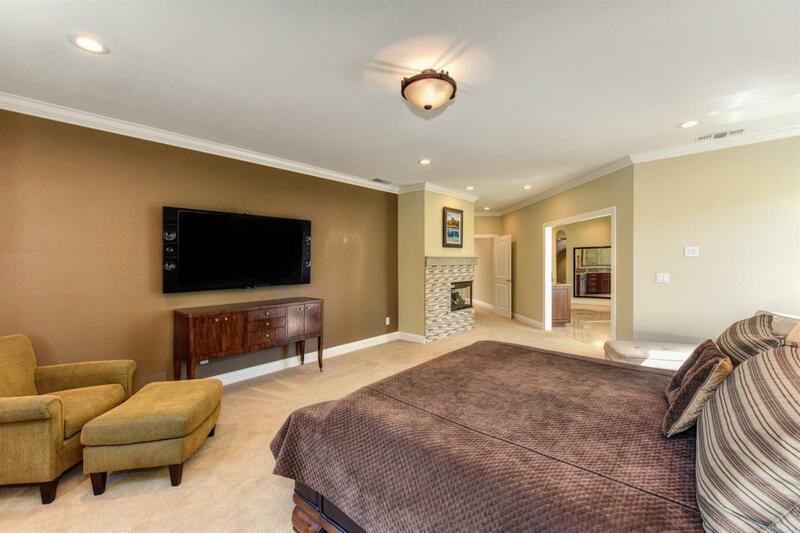 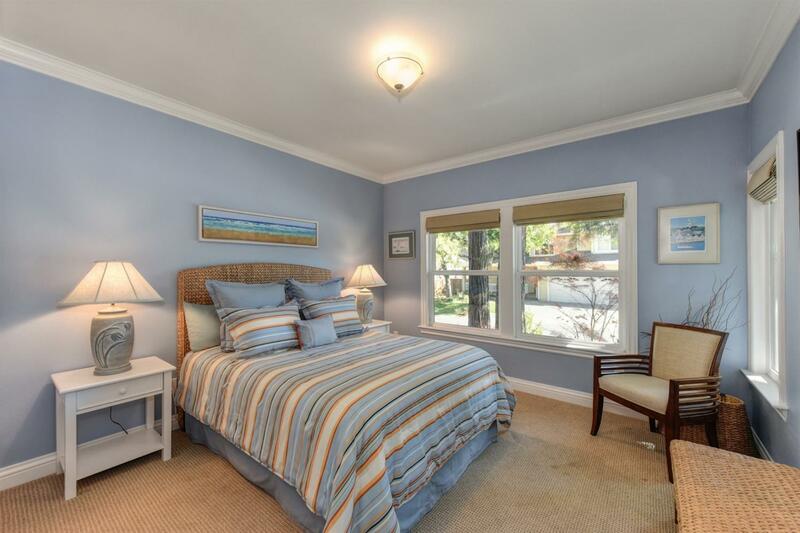 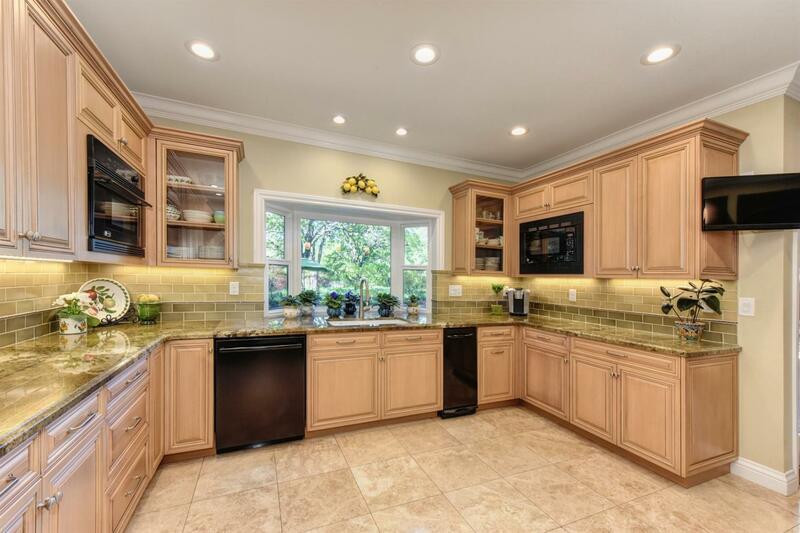 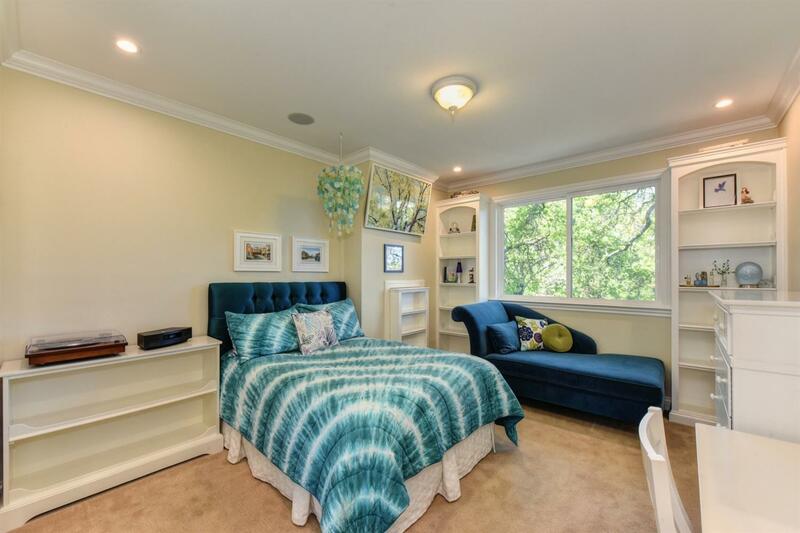 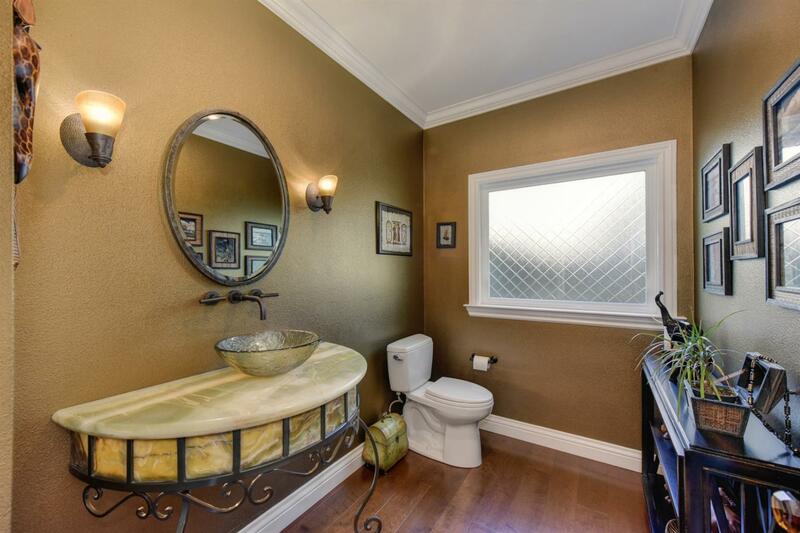 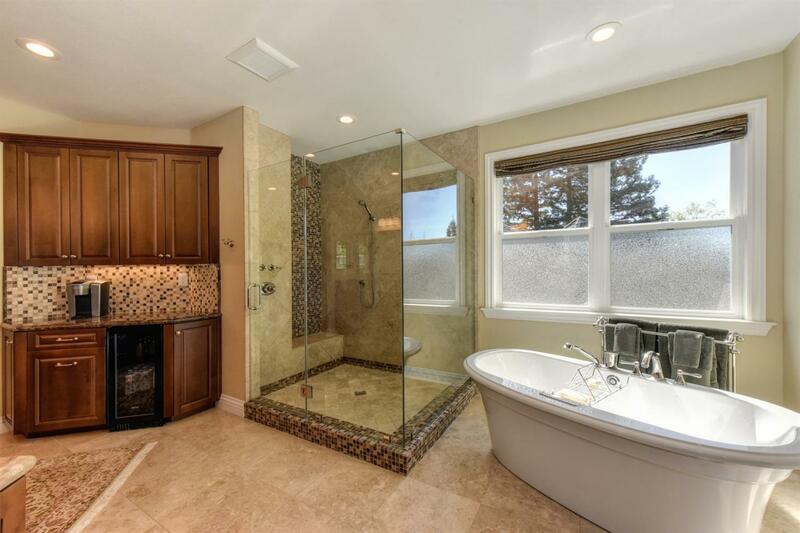 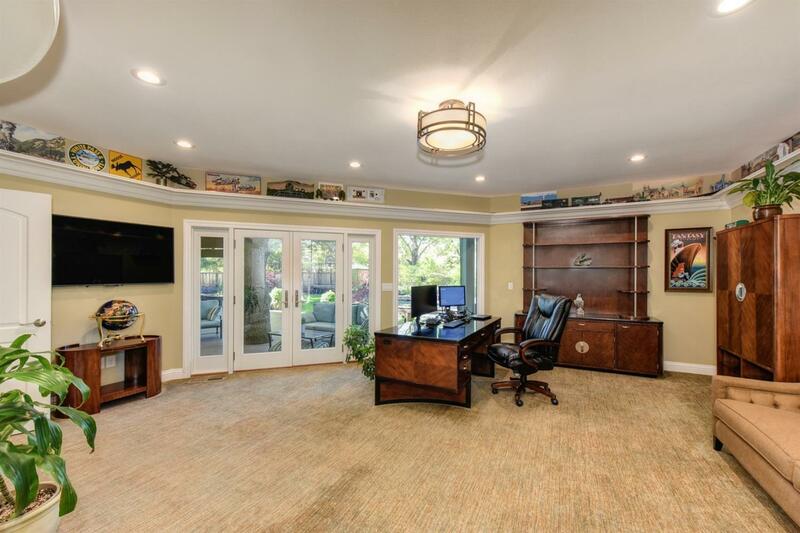 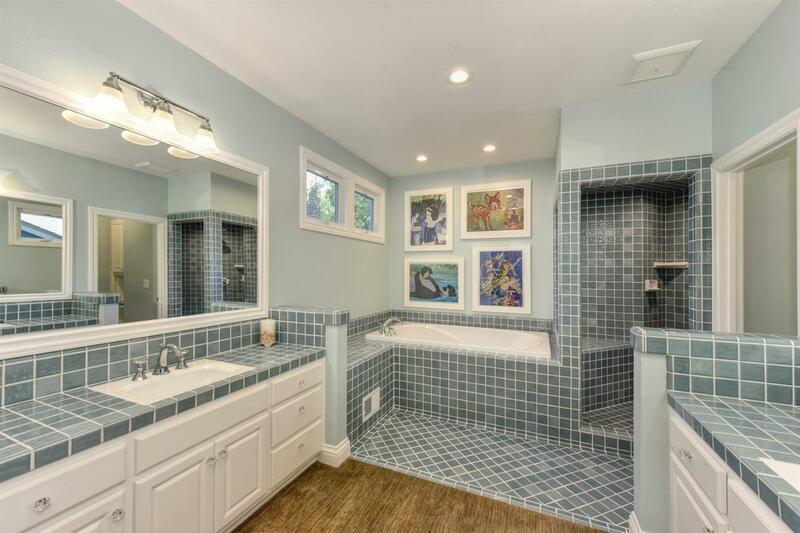 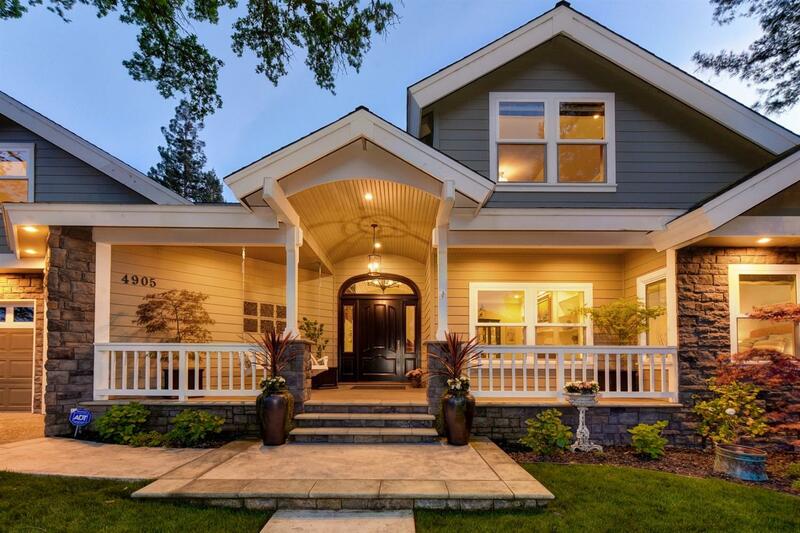 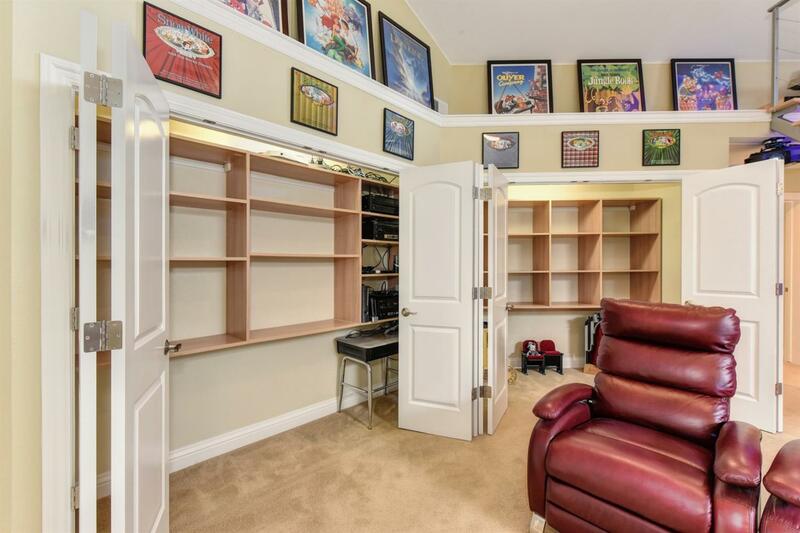 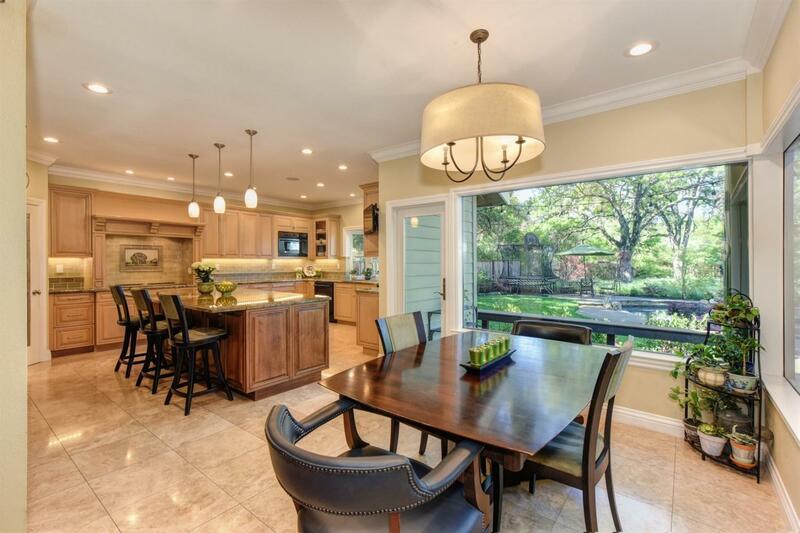 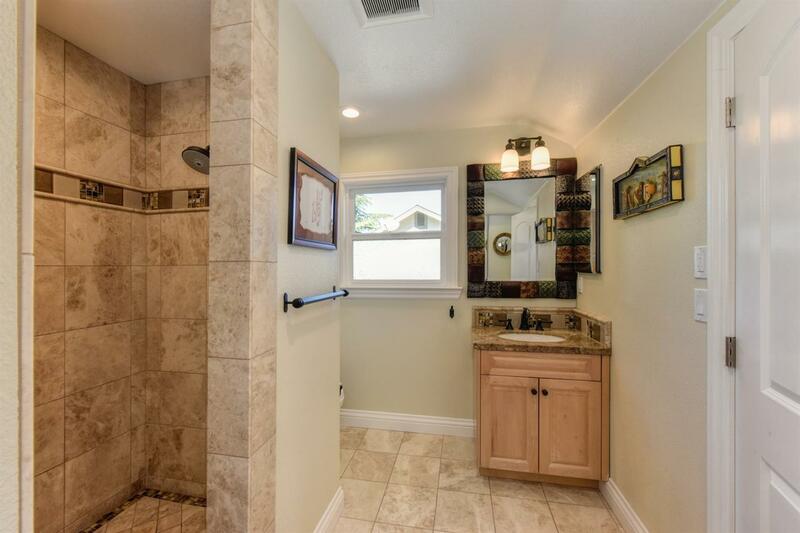 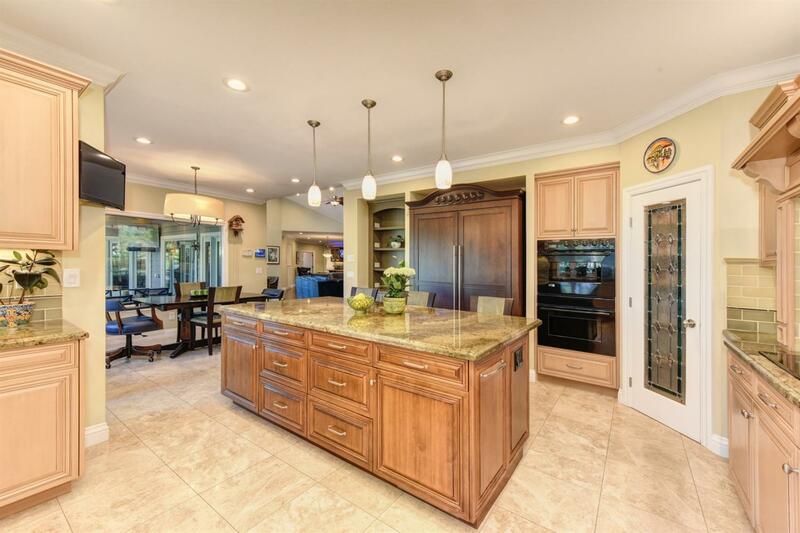 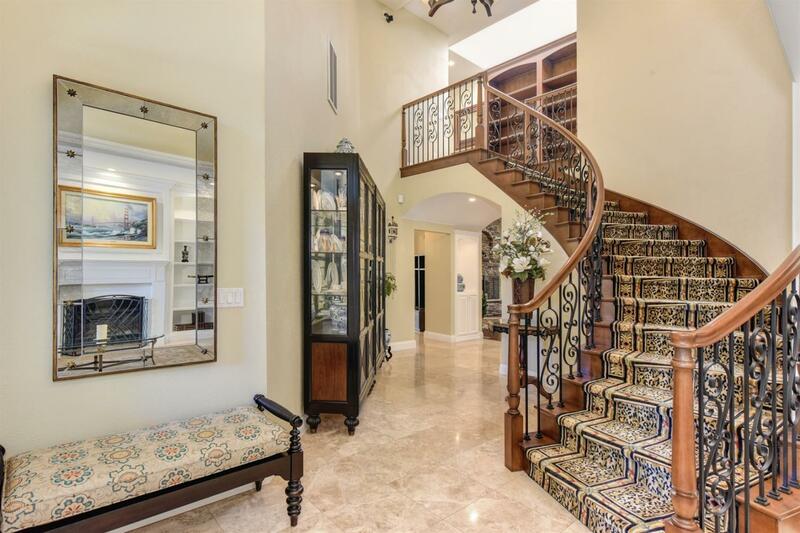 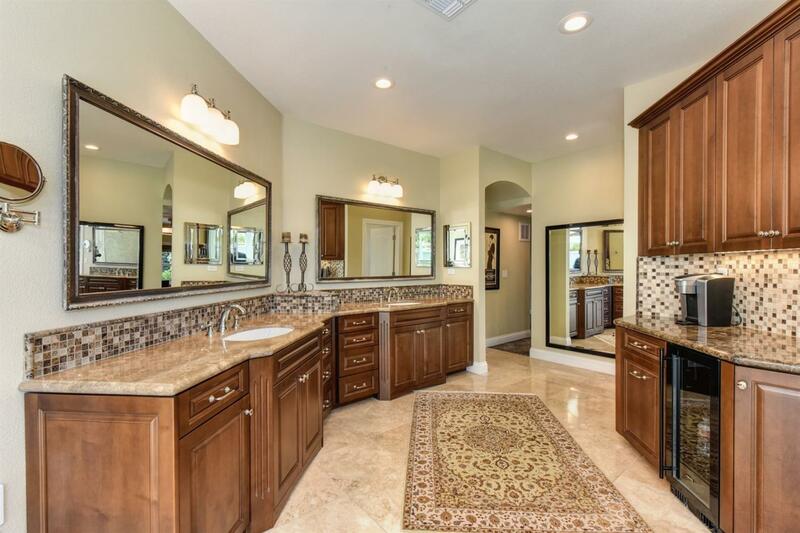 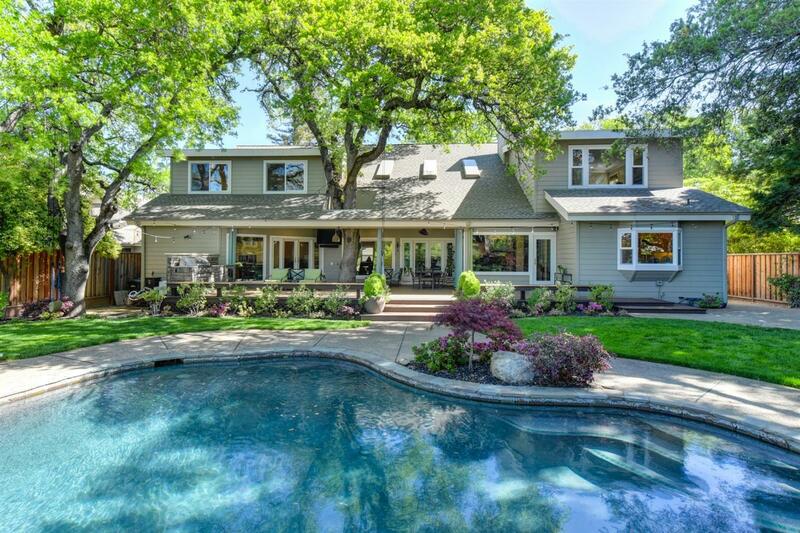 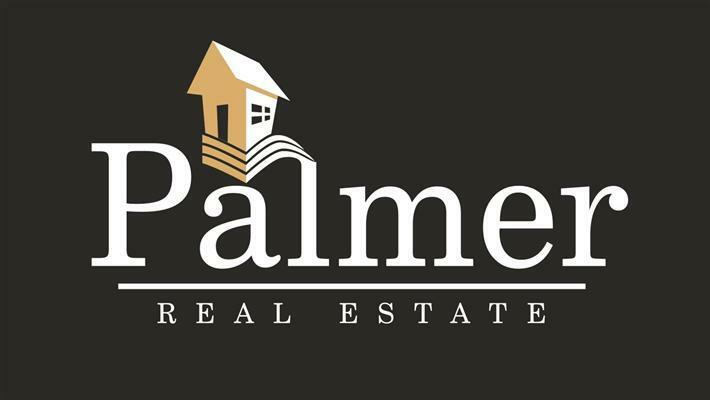 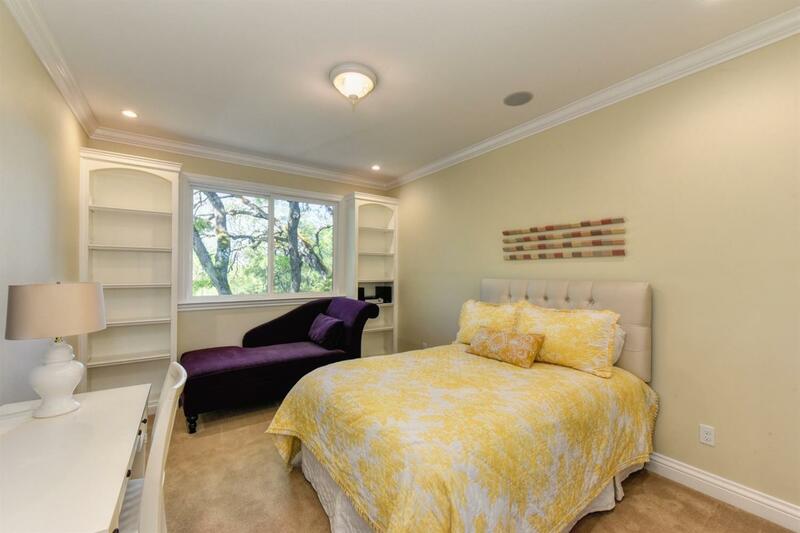 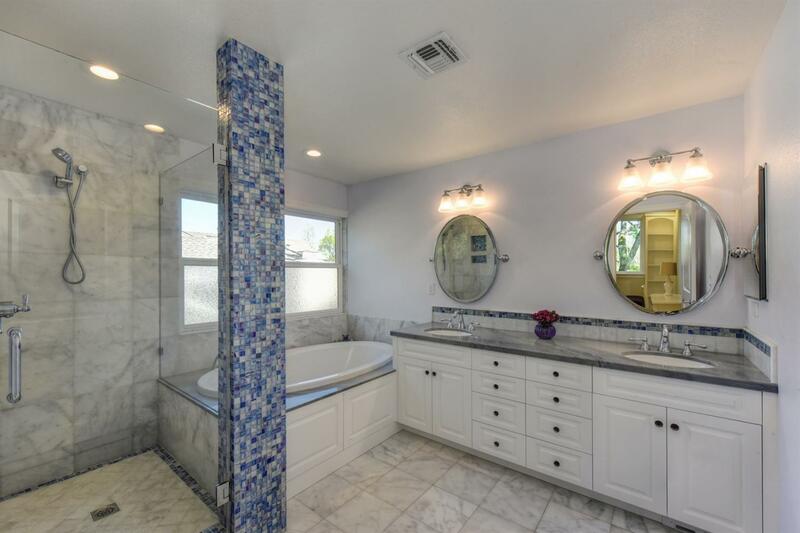 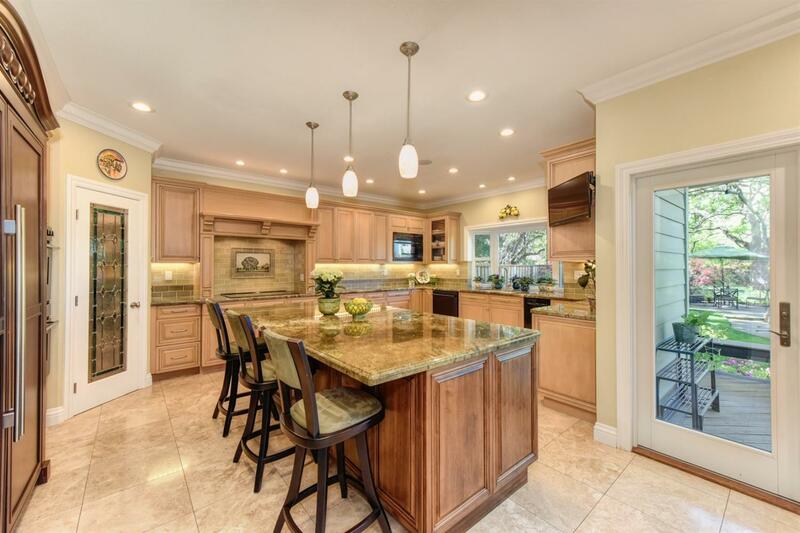 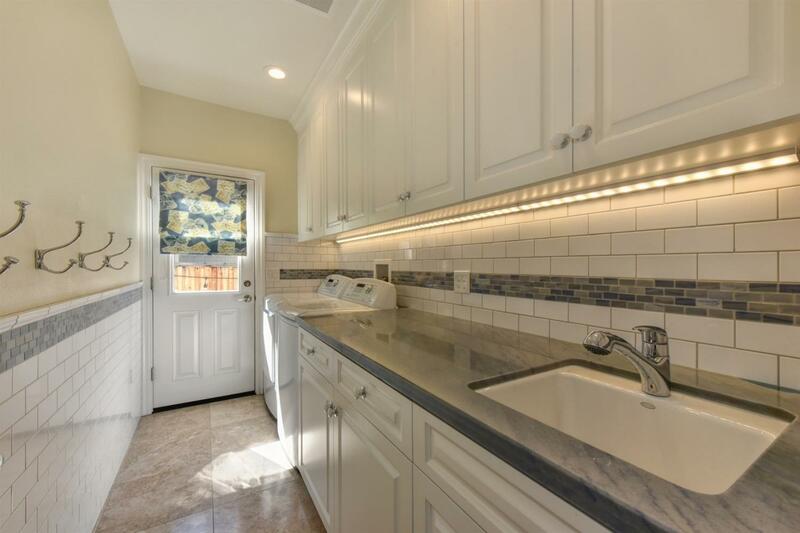 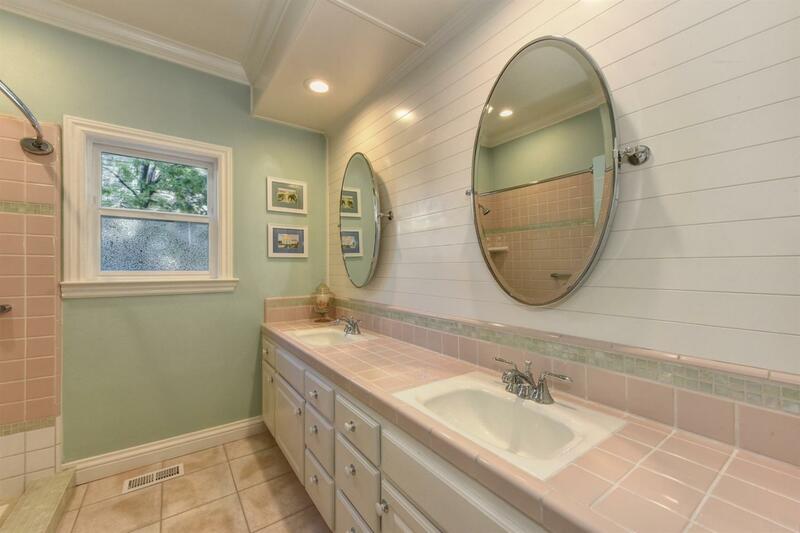 Newly remodeled coastal styled custom home with TWO MASTER SUITES in quiet Fair Oaks gated community. 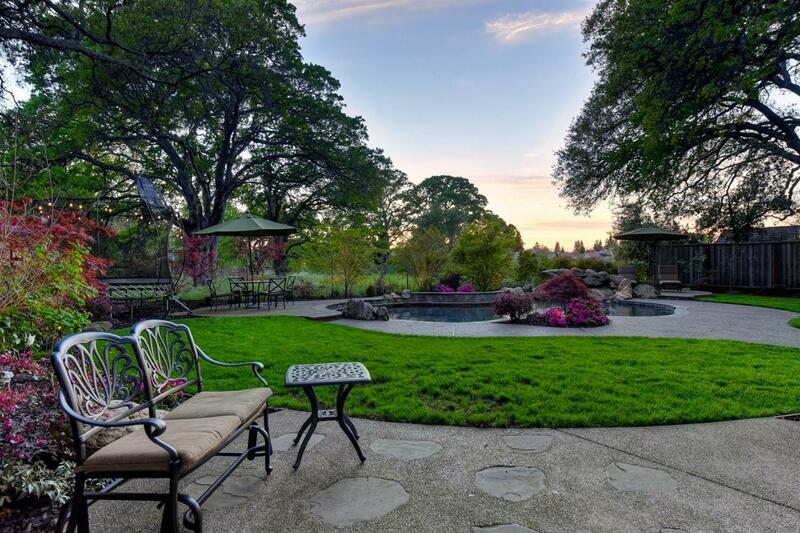 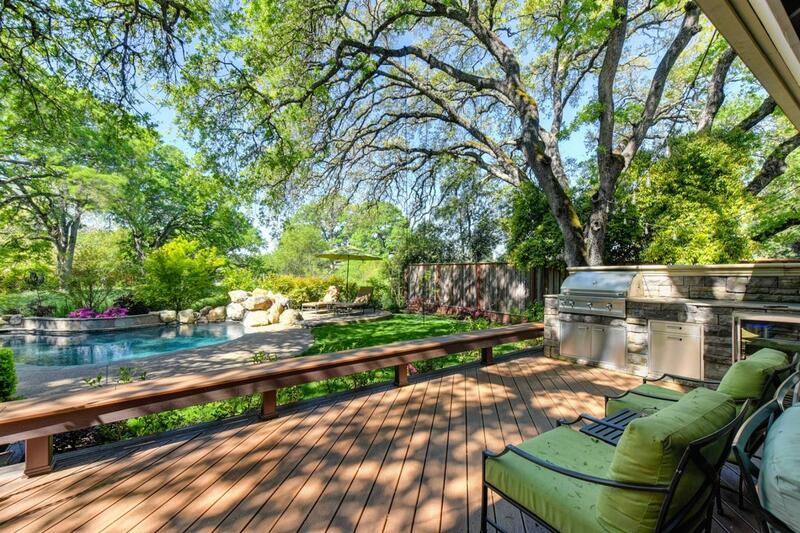 Nestled in a private cul de sac, an open nature reserve serves as its backyard view. 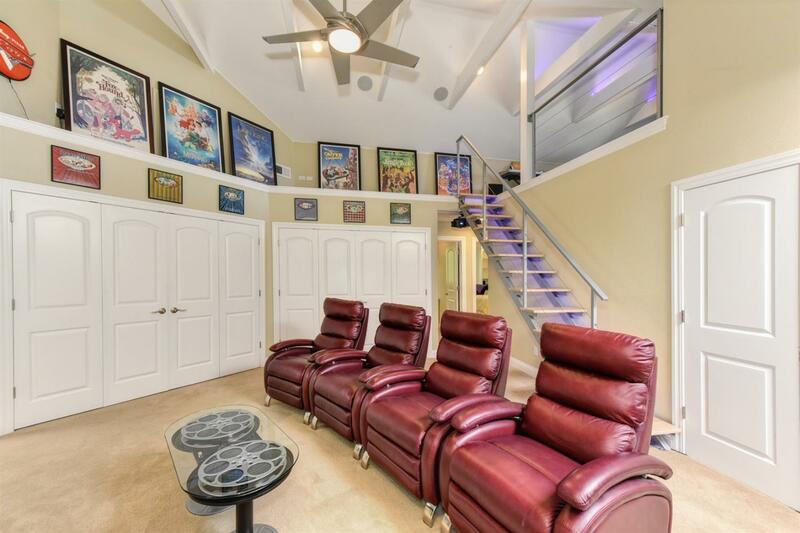 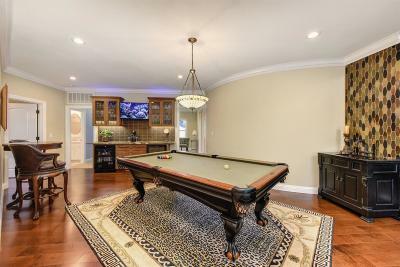 Enter through the charming covered porch into the beautiful marble floored entry and living room with fireplace, game room with wet bar and refrigerator, handicap equipped guest suite and luxurious downstairs master suite w/ backyard access. 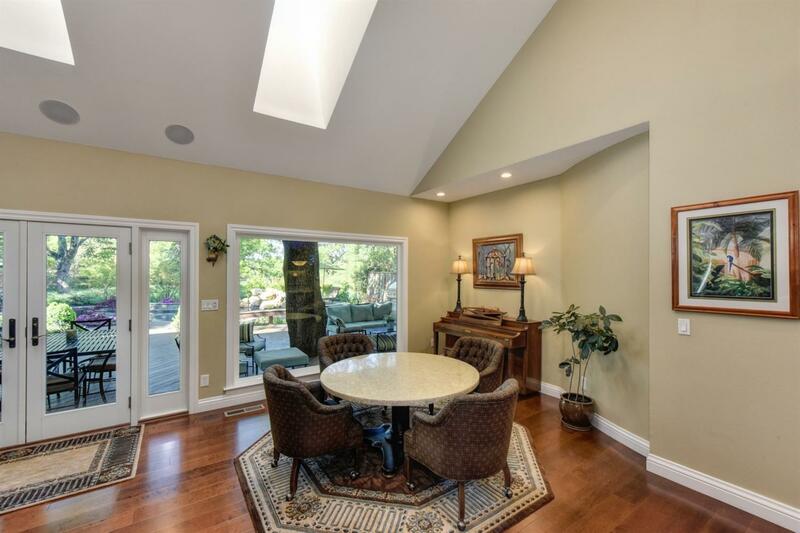 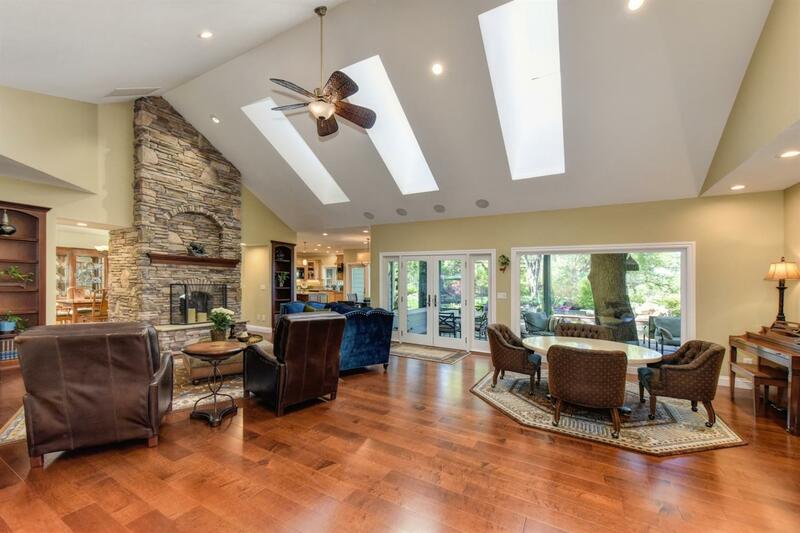 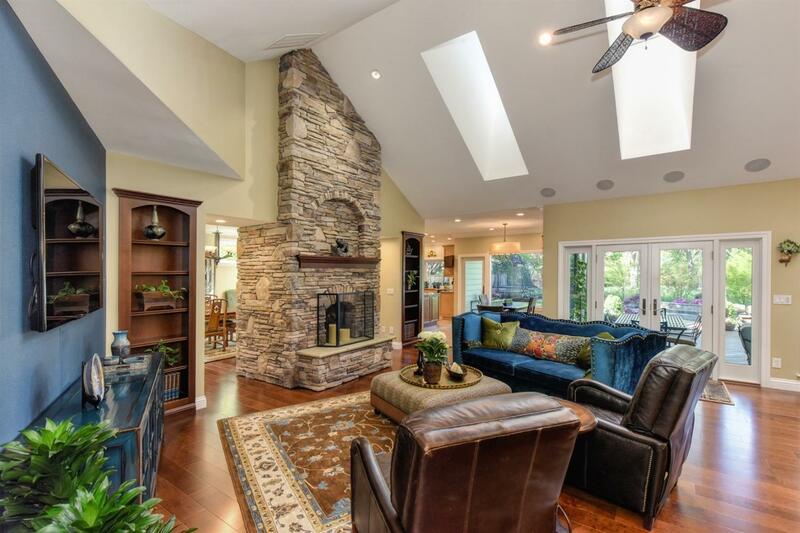 The spectacular greatroom boasts double sided rock fireplace, hardwood floors and views of the backyard oasis. 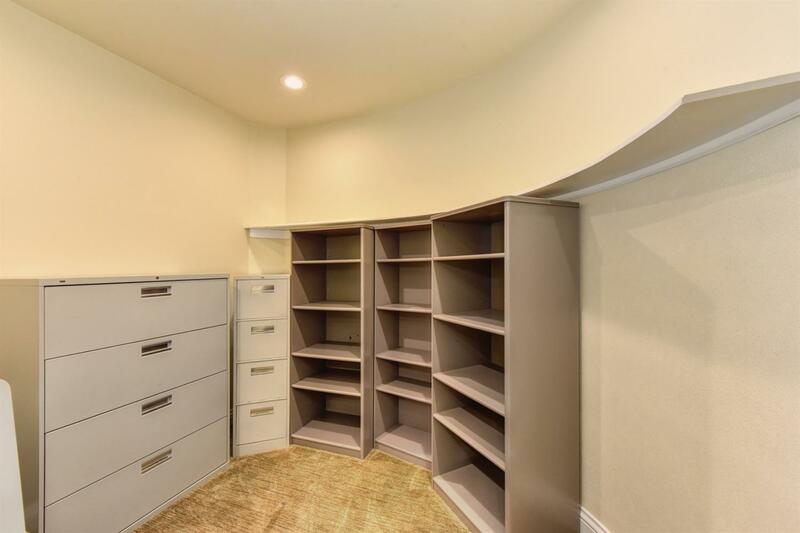 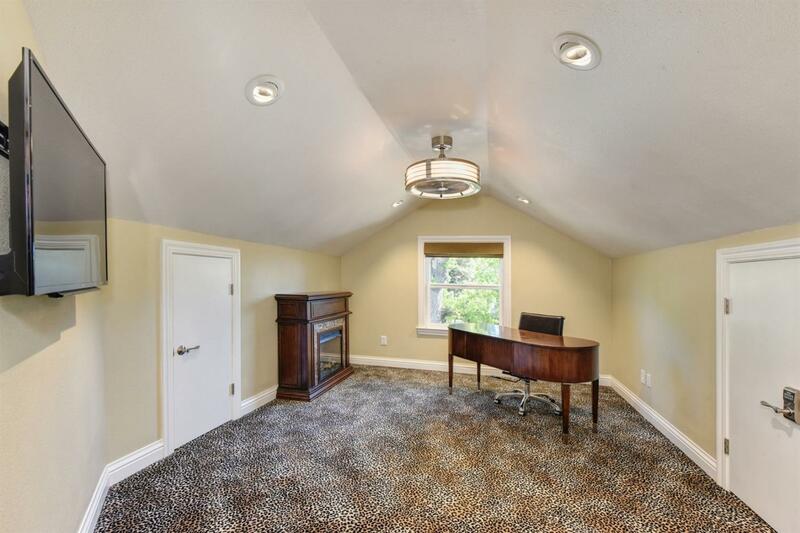 Ascend the winding staircase to the upstairs area with bonus room and loft areas, two bedrooms with spacious shared bath and third bedroom with adjacent full bath. 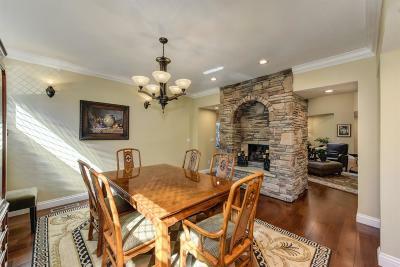 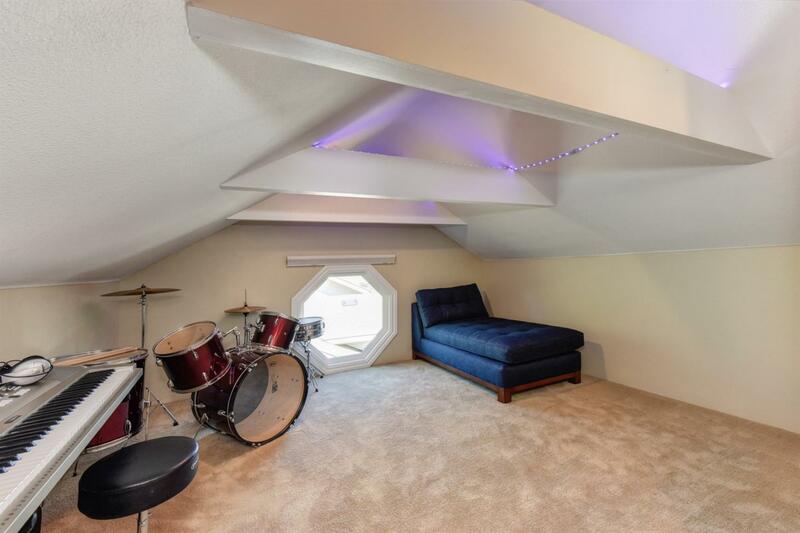 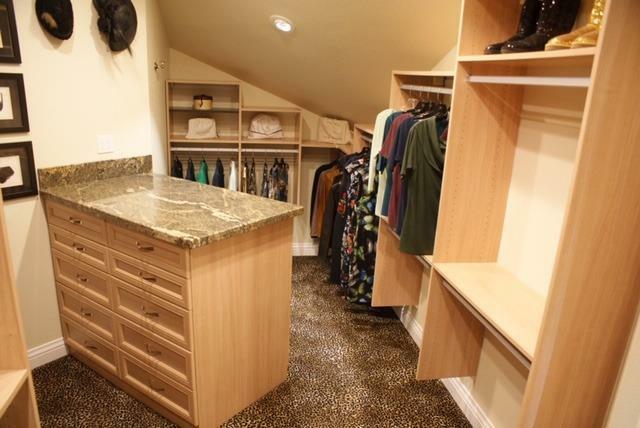 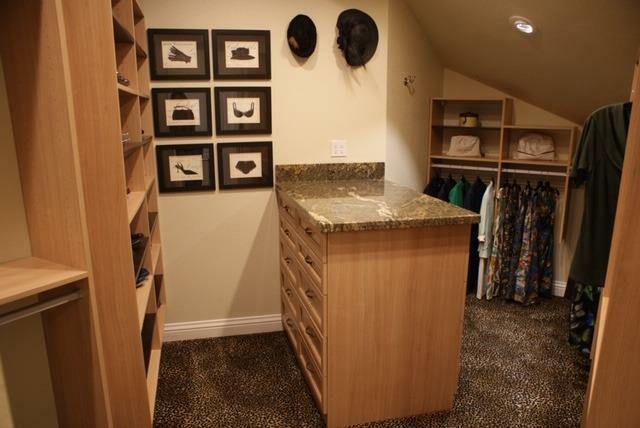 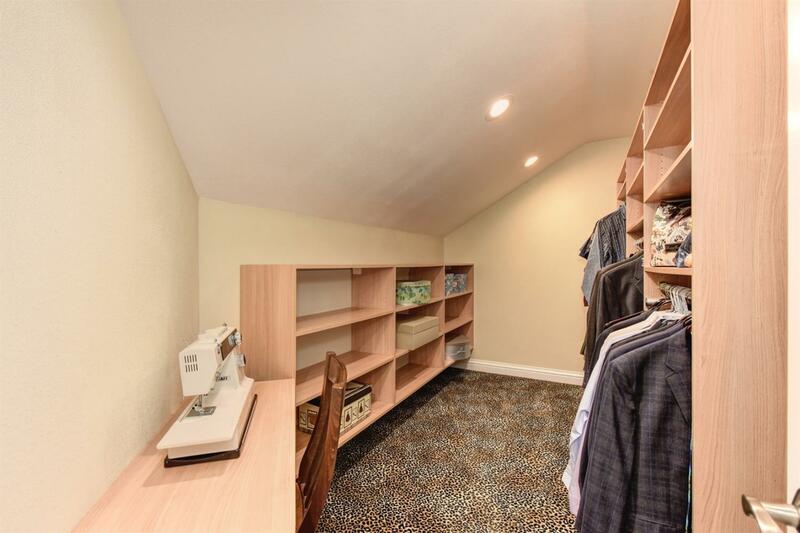 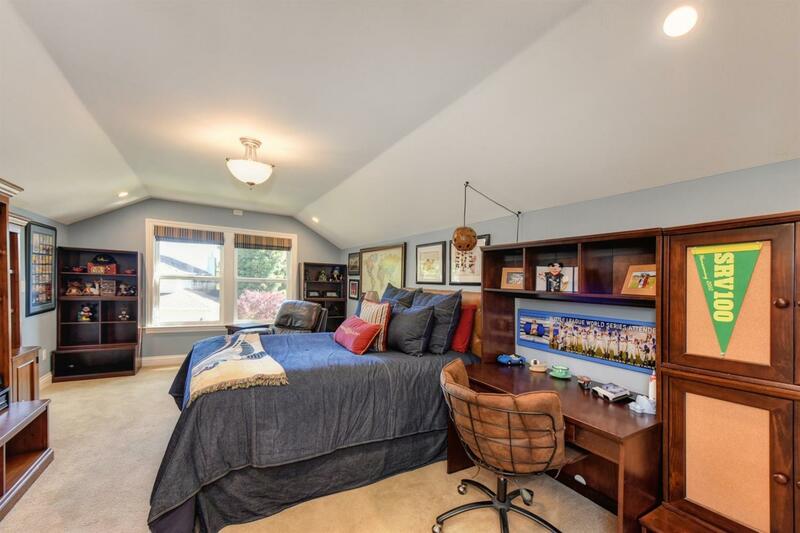 Gorgeous upstairs master features gas fireplace, wet bar w/refrigerator, soaking tub and dual closets. 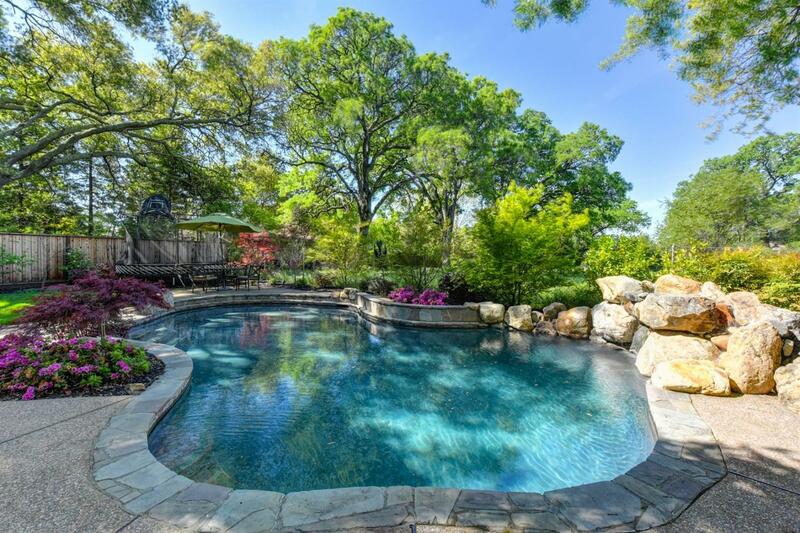 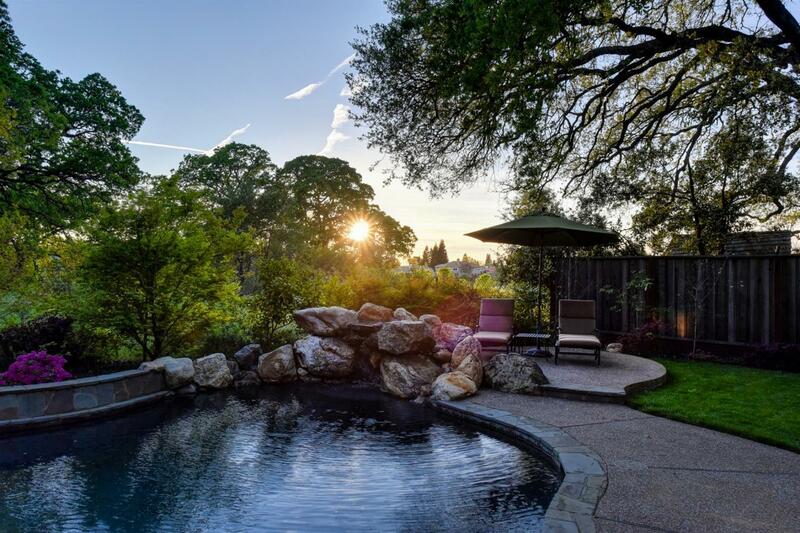 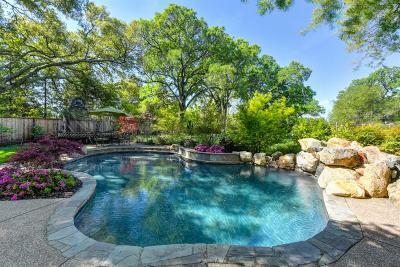 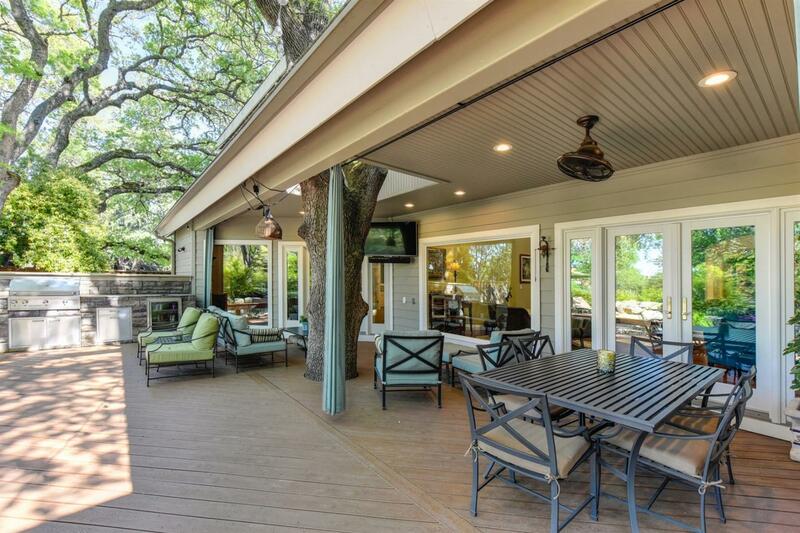 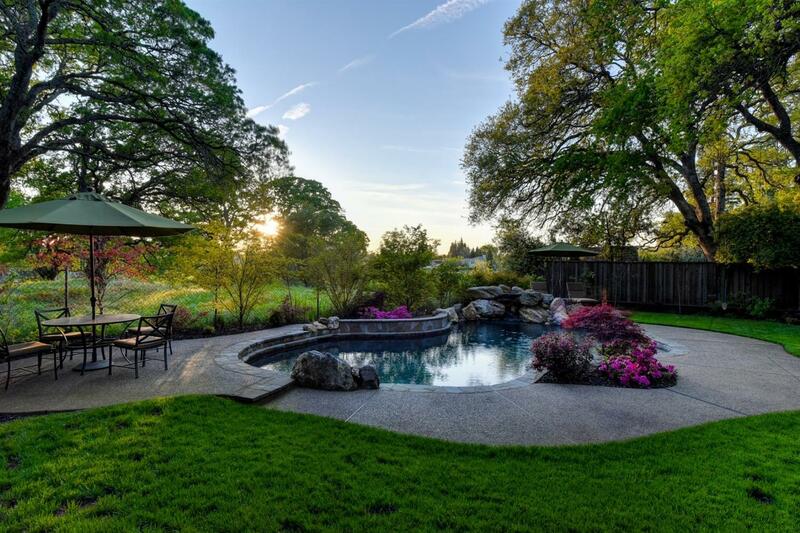 Relax or entertain family and friends in the natural backyard w/flowering shrubs, sparkling pool with waterfall, multiple patio areas beneath the towering oaks and full outdoor kitchen.